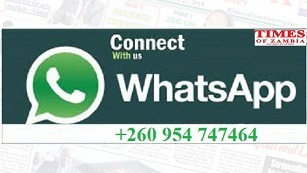 ORIENTAL Quarries Boxing Promotions have changed the opponent for former WBC Bantamweight champion Catherine Phiri ahead of the international boxing tournament in Ndola. Phiri was scheduled to fight Matshidiso Mokebisi of South Africa but she will instead face another South African Unathi Myekeni. 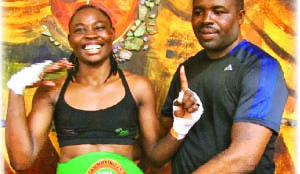 OQBP manager Christopher Malunga confirmed in an interview that Mokebisi was not ready to face Phiri and that she had entered into other commitments which made it impossible for her to fight on July 1. Malunga said the new opponent, Myekeni was equally good and would give Phiri a tough fight. Myekeni has a record of 14 fights, 10 wins, three defeats and one draw to her name compared to Phiri’s 14 fights, 12 wins and two defeats. Republican President Edgar Lungu on May 25 awarded Phiri with the Zambian insignia of meritorious achievement for bringing glory to Zambia and being an inspiration to young people. Phiri was awarded for being the first African female boxer to win the WBC World title which she relinquished last month against Mariana Juarez of Mexico. Malunga also said Alfred Muwowo will fight Tanzanian Haji Juma instead of Caristo Bwalya whom he was earlier scheduled to face. Malunga said Muwowo will now fight for the Africa Boxing Union (ABU) championship against the Tanzanian. He said the organisers will now look for an opponent for Bwalya so that he could also be in action during the tournament which would be staged in Ndola for the first time. “Everything remains unchanged. The only changes are on Catherine and Alfred fights. We have added an African Boxing Union flyweight championship bout, Alfred Muwowo of OQBP versus Haj Juma of Tanzania,” Malunga said. He further said Manyuchi’s opponent will soon be announced.